These days, I look at a lot of apps. There are so many out there for kids that you have to be discerning. So coming across an app that is like no other I’ve seen is a bit exciting! 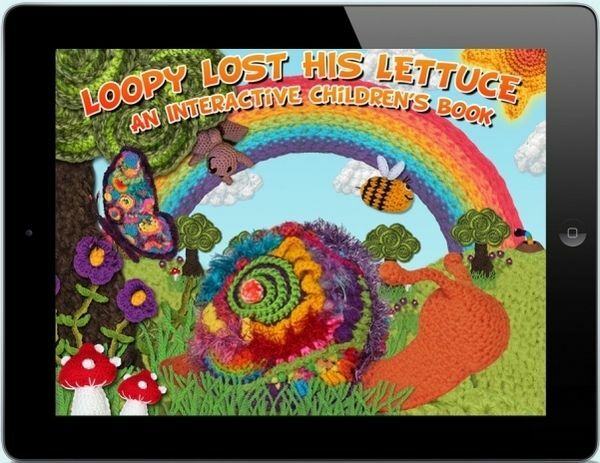 Loopy Lost His Lettuce, created by Adelaide-based Pixelflip Studio, is a stunning new app where modern technology meets old-world handcrafts. 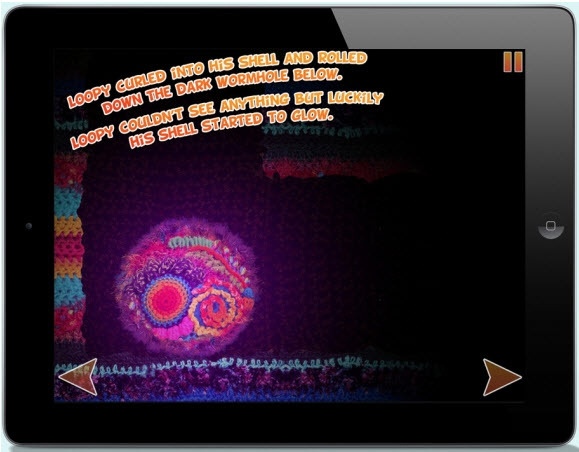 The app includes both a story and games and boasts lots of impressive interactive features. So what makes Loopy Lost His Lettuce so different? All of the ‘graphics’ are hand-crocheted, free-form pieces, from the characters through to the backdrops. You can see the different textures of the wool, the colours are vibrant and the whole thing has a three-dimensional element that is unlike anything I’ve seen before. 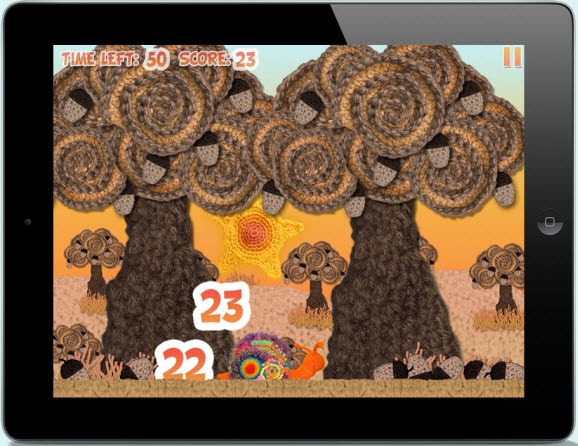 The first time we played Loopy (my five-year-old was in charge), I couldn’t critique any of the story or game elements simply because I was oh-ing and ah-ing over the beautiful graphics – little crochet toadstools, butterflies, a squirrel and of course, Loopy, with his rainbow snail shell. There’s also fluffy white clouds, magnificent autumnal trees, flowers that bloom, crocheted snowflakes and a truly magical section where Loopy is stuck in an underground wormhole and his shell starts to glow. Thankfully, my five-year-old tester kept me on task. The six mini-games included in the app are the highlight – collect butterflies, shake the autumn trees for acorns, collect pollen with the bees, sort snowflakes and more. The games can be geared toward easy, medium or hard for different age levels. My daughter’s favourite was shaking the trees (the iPad!) for acorns. Find Loopy Lost His Lettuce at iTunes for $1.99.